Hope everyone's had a great Easter weekend. So my blog tonight is a hidden gem I came accross the o2 arena last night. For those who have attended any event at the arena know how quickly all the bars and restaurants fill up. Last night on a girls night out to see Little Mix I was introduced the Nylon Lounge Bar. From the moment you walk up the stairs to enter it transports you to the departure gate for a great evening. The bar has an airport style theme from Virgin Atlantic and Delta which runs through out the bar. The bar had a range of couches, chair and bar seats all very comfy I have to add. All the staff I spoke too were lovely from the moment you arrive to when you order your drinks. I've always been fascinated by bar tenders when they make cocktails it's a very clever skill to watch. The bar offers a wide range of drinks and for a girls night out a great range of cocktails both alcoholic and non. 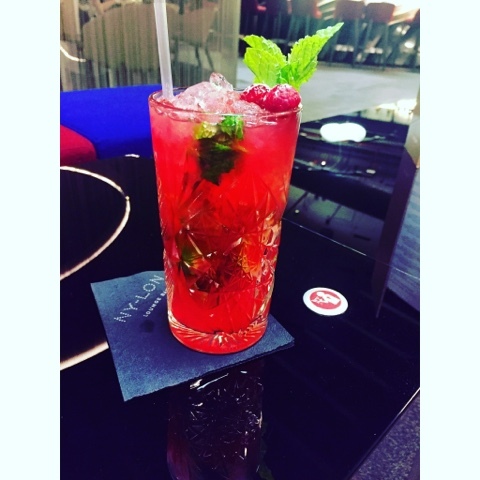 If you are heading down to the arena I'd recommend a visit to the Nylon Lounge Bar for a great start to your evening.